Living Colorfully: Five On This Wonderful Friday! I can't believe this week has gone by so quickly! So many happy things have been crammed into these 7 days that it's almost impossible to pick five! These are just some of the things making me smile this week. 2. Getting our engagement photos last night! More to come soon, but I absolutely adore them! 3. These precious bride and groom bears from my friend and bridesmaid (although she doesn't know it yet ;)), Tallie! They are the perfect addition to our house! 4. The only downside to this last week was when my luggage got lost on the way home! That sucker was packed to the brim with 49.5lbs of my favorite summer clothes, shoes, hair products, and very sentimental items! I tried not to panic, but the airport we flew out from was a tiny one in Puerto Rico that doesn't scan bags and only flies out three days a week! There were so many times it could have fallen through the cracks, but 3 days later they delivered it to my door! I'd be lying if I said I didn't get a little misty. Mostly because this adorable towel from my future mother-in-law was inside! Robin! Congratulations!!! =D I just caught up on all your engagement posts... so happy for you!! That is a prettttty great week!! :) Can't wait to see more engagement photos!!! what a great week you have had!! Engagement photos already? Girl you are on it!! I can't wait to see! I love that y'all got your engagement pics so soon! Not that the feeling wears off but it's all so fresh you'll really be able to look back and see the happiness in the smiles :) Can't wait to see more! Love love love your first engagement photo! I can't wait to see more! 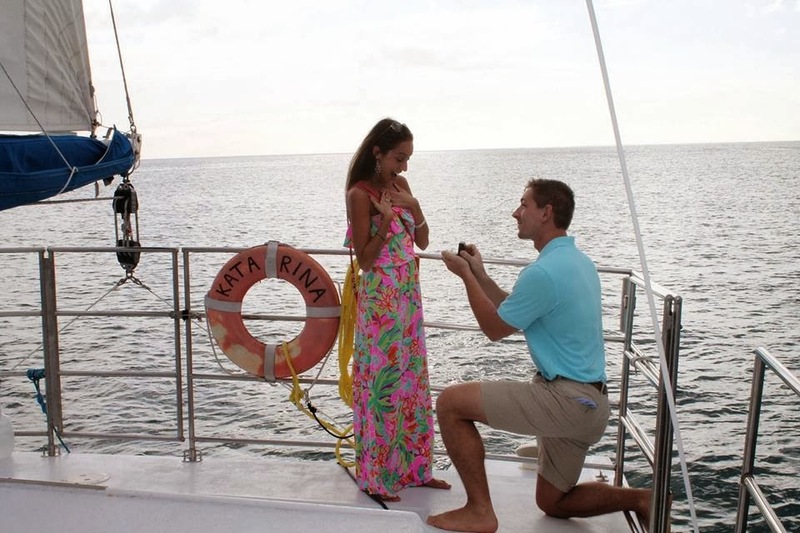 The expression on your face in your proposal picture is priceless! I absolutely adore that picture! You and Dom are so stunning together. I cannot wait to see some more of your engagement photos. Good luck with your classes! I totally would've made the engagement all 5 haha :) glad it has been a great week for you! What a wonderful week! You are beautiful! Congrats! Cannot even WAIT to lay my eyes on those beautiful e-pics!!! You and Dom are too darn cute. CONGRATS, AGAIN!!! :) also...LOVE that towel! Oh my gosh, I love all the wedding stuff. SO cute, I am so glad they found your bag and returned it safe! annnd those pictures are going to be ahhhmazing! I cannot wait to see them all! I can't believe I missed this post!!! Congrats on yor engagement!!! So exciting!!! Your rig is gorgeous!! !